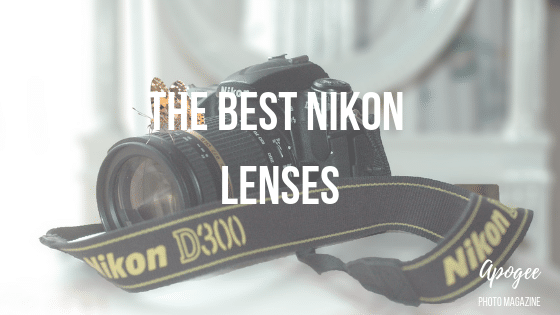 With so many different lenses available on the market today, and at vastly varying price points, it can often be a real challenge to work out which will be the best Nikon lens to use with your camera. To make matters more confusing, while Nikon FX (full frame) and DX (APS-C) lenses are interchangeable, in practice the use of an FX lens on a DX body will result in a lens of an entirely different focal length. Conversely, use a DX format lens on an FX body, and a 1.5 x crop will be automatically applied (and deactivating this crop function will cause strong vignetting). Maybe you regularly use both FX and DX format cameras? Or perhaps you think that you might want to move from one format to the other at some point in the future? In either case, it would pay to very carefully research all the options available before purchasing. This will allow you to be able to maximize lens usage between formats: say by purchasing a good standard lens for the FX format that will double as a portrait lens when used on DX. 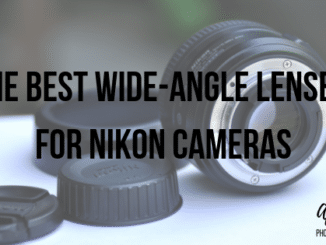 With this in mind, in this guide, we review a selection of the best lenses currently available for both APS-C and full-frame Nikon DSLRs. 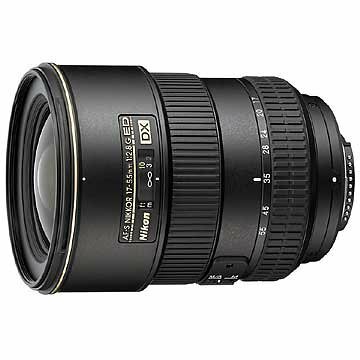 Until the Nikon AF-P DX 10-20mm f/4.5-5.6 G VR came on the scene back in 2017, Nikon APS-C camera owners looking for a wide-angle zoom needed to spend a considerable sum of money in order to get anything worth using. And while intended as a budget alternative to the expensive 10-24mm, the 10-20mm f/4.5-5.6 is a surprisingly good lens for the money. Offering a relatively broad zoom reach, in a small and lightweight package, it is a lens that will no doubt appeal to many landscape, interior, wedding, events, documentary, and travel photographers looking for a convenient solution for wide-angle shooting. Of course, as one of the cheaper Nikon lenses in this category, it is built entirely from plastic rather than metal alloy. Nonetheless, it seems quite sturdy, and will likely stand up to regular use by all but the most demanding (or careless) of photographers. While decidedly compact and unobtrusive when stowed, the lens does extend somewhat when zoomed out. Zooming is done through a dedicated ring that is broad and satisfying to use, while a much skinnier ring that is also a joy to turn controls the manual focus. AF is surprisingly fast and accurate throughout the zoom range. Rather strangely though, there is no way to switch between AF and MF focusing on the lens itself; the only way to switch is via the LCD on the back of your camera. More bizarrely still, there is no switch to turn off the VR function. Of course, the majority of users will have no reason to turn image stabilization off most of the time anyway – and indeed will likely be grateful it comes with this feature at all, given the relatively low retail price. However, lack of a VR-off switch might potentially be an issue for those who regularly shoot on a tripod: as when no vibration is present, the VR function may start to interfere with image quality. Image sharpness is very good across the frame – even wide open and set at 10mm – displaying maximum sharpness at the edges between the apertures of f/5.6 and f/8. However, there’s some slight chromatic aberration with the lens when shooting at the fastest apertures, with purple fringing also quite noticeable. There’s no apparent vignetting though, and flare is well controlled. Be aware though that the lens exhibits considerable barrel distortion when used at the widest zoom settings. This is easily corrected when processing the RAW files. Finally, when it comes to Bokeh, there’s nothing here to get too excited about. But considering that it’s a relatively slow wide-angle lens, this is in any case largely to be expected. The front of the lens features a protective lens hood and will take regular 72mm filters. 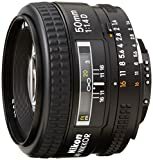 An oldie but goodie, the Nikon AF-S 35mm f/1.4G was the first fixed focal length moderate wide-angle lens with autofocus to come on the market for full-frame Nikon cameras. And while almost ten years have passed since the f/1.4G was first released, its status as the wide-angle of choice for many pro shooters has nonetheless remained relatively unchallenged. Wide, but not too wide, and boasting a very fast maximum aperture, the 35mm f/1.4G is a great travel and street photography walkabout lens. It’s also the classic focal length favored by photojournalists and combat photographers for its ability to capture the action from up close while adding an element of dynamism and drama to the scene. Despite being made entirely out of plastic, this is quite a big, heavy, and solid lens. Its controls are simple and unfussy, with a minimalist barrel featuring only the focus ring, an AF/MF selection switch, and a depth of field indicator window. Super sharp and contrasty, and offering fantastic bokeh thanks to nine rounded aperture blades, the f/1.4G’s only major optical flaw is that objects photographed against the light sometimes exhibit some quite noticeable purple fringing. 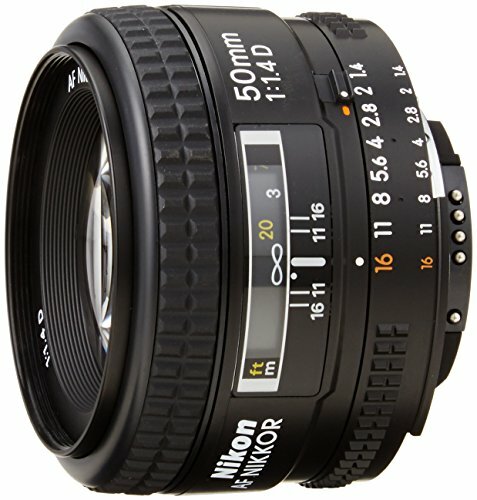 The Nikon 50mm f/1.4 AF D has been on the market for quite some years but is still a fantastic buy. 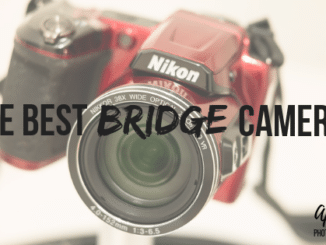 Every photographer needs a good standard prime, and they don’t come much better than this one: fast, sharp, and compact, it does everything you need for shooting portraits, landscapes, and street photography in low-light. What’s more, it does so at a great price. Bokeh is generally very beautiful with this lens. However, due to its regular, non-rounded, aperture blades, out of focus light points are rendered quite angularly, rather than as the perfect circles created by other more “bokeh-licious” optics. There is also some quite evident corner vignetting and softness when used wide open at f/1.4. Nonetheless, this drops off rapidly as you move through the aperture settings, and already by f/4, the image looks very sharp right across the frame. The fast maximum aperture makes it well-suited to shooting in less-than-ideal lighting conditions, and while the lens is small and lightweight, it is nonetheless satisfyingly solid and well-built. These two facts combined make the 50mm f/1.4 a great choice of lens for those who like to travel with just a couple of sturdy primes for intimate precision shooting. The lens barrel features both a physical aperture ring and a window displaying a depth of field scale. Autofocus is fast and MF control very powerful. Designed for use with full-frame cameras, the 50mm f/1.4D can also fit on APS-C bodies, where it will provide the equivalent coverage of a 75mm lens. The lens accepts filters using a standard 52mm attachment ring. 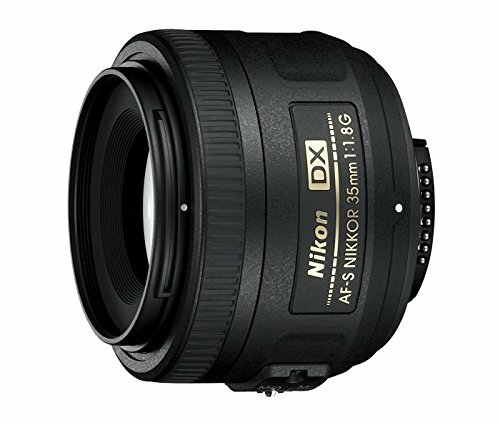 Nikon APS-C photographers looking for a small and lightweight (perhaps even too lightweight?) standard prime lens could do a lot worse than the Nikon 35mm f/1.8 DX. From portraits to documentary, to street photography and landscapes, it’s just a great all-around shooter with a moderately fast maximum aperture. The lens delivers ultra fast and silent focusing, and overall handling and performance are fantastic. Central image sharpness is great, even at wider apertures, with images displaying excellent colors and contrast. As it’s made almost entirely out of plastic (only the mount is metal), build quality is not this lens’s strongest point though. The only other issue of real concern is the amount of vignetting and color fringing the lens produces when used wide open. 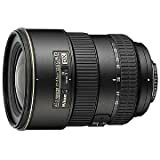 The Nikon AF-S 24-70mm f/2.8E ED VR lens is a great all-purpose zoom that will appeal to travel, event, and street photographers for its ability to cover a wide range of shooting scenarios. And with a relatively fast fixed maximum aperture and the additional aid of onboard image stabilization, it’s ideally suited for shooting in low light. Indeed, the 24-70mm two-stage VR helps to capture sharper images more of the time, and in a wider range of shooting conditions, than with the previous non-VR version of the lens. AF, too, is way faster and more accurate than with the earlier model. Optically, zooms tend not to stand up all that well against prime lenses. However, the 24-70mm delivers pretty solidly in this department. It also produces attractive bokeh due to 9 rounded aperture blades. There is some slight color aberration and edge distortion detectable at most zoom settings when shooting at wider apertures. And performance drops at longer focal lengths, with reduced corner sharpness becoming quite evident beyond 50mm. Thankfully though, the lens displays only very minimal flare, even when shooting directly into strong light. Anyone who doesn’t require image stabilization (for example, if you mostly shoot on a tripod), and those looking for something a little smaller and more discrete, might want to consider the old G (non-VR) version of this lens. 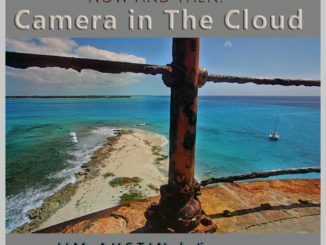 Indeed, many photographers prefer the non-VR 24-70mm, suggesting that the images it produces are more characteristic and visually pleasing than the nonetheless optically very sound VR version. 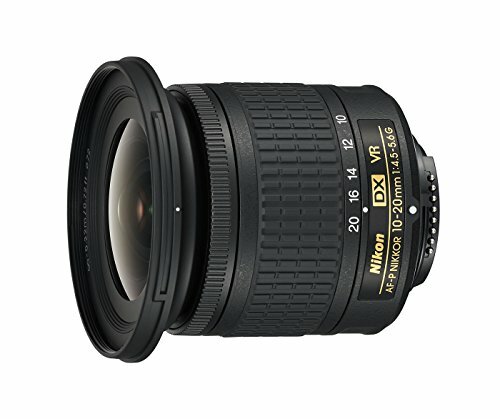 For Nikon DX body owners looking to move up from the mediocre 18-55mm kit lens included with their camera, the Nikon 17-55mm f/2.8 currently presents the best solution out there. It’s a sharp and fast multi-purpose walkabout lens that, with a full-frame equivalent zoom range of 26-85mm, will handle most shooting situations impressively – whether your niche is landscapes, travel, events, or street photography. When compared with the cheaper kit lens, this is a very big and heavy piece of glass – especially when you consider that we’re not talking full-frame here. But on the plus side, this makes it a very rugged, hardwearing, and satisfying lens to you use. Naturally, with a constant maximum aperture of f/2.8 throughout the zoom range, this is also a much better option than the kit lens when it comes to low light photography. While the optics are super sharp, with just some slight distortion at wider zoom settings, bokeh is decidedly lackluster: only becoming a little more attractive when shooting at longer focal lengths. Although unlikely to win any prizes for speed, autofocus performance is nonetheless perfectly adequate and has the added advantage of being totally silent. For photographers who are serious about shooting portraiture, an 85mm lens will likely form an essential part of their day-to-day photographic kit. The Nikon 85mm f/1.8 G represents an affordable solution in this department. And while it is not without its compromises, the lens is nonetheless a good all-around performer that will satisfy the needs of most portrait shooters. Of course, at this price, point we cannot expect the same level of quality as with a lens costing 4 or 5 times as much. But let’s be clear here: build and performance are definitely not 4 or 5 times worse than with a top of the range portrait lens. 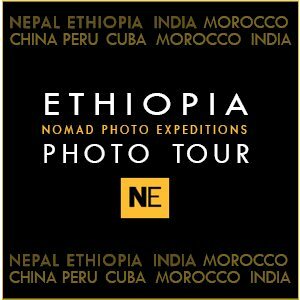 Consequently, few photographers will consider the pro options worth such a huge extra outlay when in practice they deliver so minimal an advantage. Despite being constructed from plastic, the 85mm f/1.8 G feels surprisingly well built. The one exception here being the filter thread, which really should have been made from something a little stronger. While autofocus is beautifully silent, it can sometimes struggle in low lighting conditions. 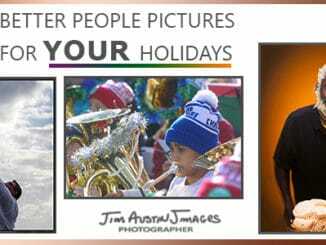 As most people will in any case be using the lens to shoot portraits, this is perhaps not as serious an issue as it might have been at another focal length. Nonetheless, if you intend to use the 85mm for purposes beyond still head-and-shoulders portrait sessions – say for event photography, or even simply more candid portraits shot on the fly – you may want to continue your search elsewhere. Thankfully though, in compensation, the 85mm G’s manual focus action is very responsive and satisfyingly weighted. Out of focus rendering is generally very attractive too, and image sharpness at the center of the frame consistently good. The lens will deliver its best performance when used beyond f/2.8, at which point files are generally very sharp, edge-to-edge. The only optical issues of note are some slight vignetting and minimal purple fringing when the lens is used wide open. 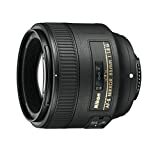 The Nikon AF-S Micro-Nikkor 60mm f/2.8G ED is a fantastic short focal length macro lens for full-frame cameras. While particularly useful for still-life shots, it can also work very well for shooting wildlife, birds, flowers, food, weddings, landscapes, and even as a short portrait lens. What’s more, when used on an APS-C format body, the 60mm will also double as an excellent standard portrait lens, offering as it does an equivalent focal length of approximately 90mm. Physically, this is quite a short lens – at least when seen without its sizable lens hood. And looking at the front of the lens, you’ll notice that the elements are surprisingly small. These factors likely help to keep weight down too, as the 60mm f/2.8G is very lightweight. Autofocus is totally silent and performs very well in most conditions. Meanwhile, manual focus operation can be selected with a switch on the lens barrel. There is also a convenient aperture display, for those who value having a way to keep track of their settings in physical form on the lens itself. Aside from its abilities to shoot small objects very close up (indeed, as close as 7.3 inches), the real selling point of this lens is simply its outstanding image sharpness. And with a moderately fast maximum aperture of f/2.8 and the ability to focus so close, the 60mm is capable of producing stunning selective focus macro images – ones where anything positioned even a fraction of an inch in front of or behind the primary point of focus will be blown out to powdery bokeh. It’s also worth noting that this lens retails at a very attractive price point. However, the fact is, it would simply be an excellent piece of glass whatever the cost. 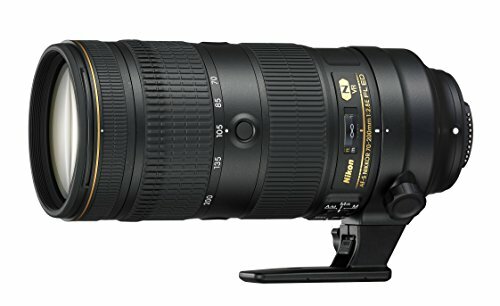 The Nikkor AF-S 70-200mm f/2.8E FL ED VRe is a fast, constant aperture, all-purpose tele-zoom for full frame (and APS-C) DSLRs. 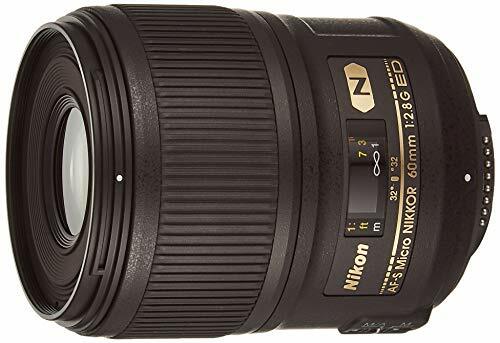 Offering unparalleled image quality and very impressive performance, this is undoubtedly one of the very best lenses Nikon has to offer right now. Although the asking price will likely deter all but the most extravagant of enthusiasts, professionals will be eyeing this one up for everything from events to weddings, sports, documentary, travel, street photography, and even the occasional head-and-shoulders portrait. While the 70-200mm is a pretty big lens, thankfully zooming is internal, so the front element doesn’t extend any further out when used. Nonetheless, despite its size, the 70-200mm is surprisingly lightweight. Still, the lens feels much better balanced when coupled with a heavy body or one with a battery grip attached. The zoom itself is controlled by a wide ring that is very responsive and light to touch. The barrel also features an AF/MF selector and switches for choosing the various image stabilization options. The lens boasts lightning-fast AF that doesn’t get confused even when tracking rapidly moving subjects. Most modern lenses are pretty sharp, so it almost goes without saying that this one is too. Most modern lenses are not this sharp though. Images produced by this thing need to be seen to believe it, as the resolution is genuinely astounding. Bokeh, too, is very attractive. There’s very little about this lens that isn’t, other than the price of course. 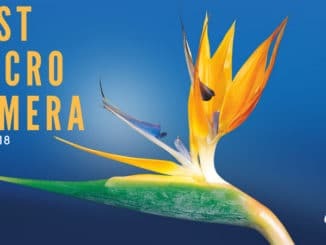 You need a top of the range professional 70-200mm zoom that blows all similar products out of the water? This is it, and that’s what it costs. 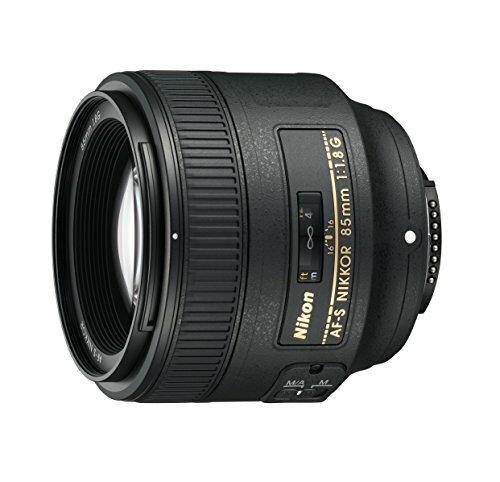 The best Nikon lenses combine durable build and fantastic performance with outstanding image quality. 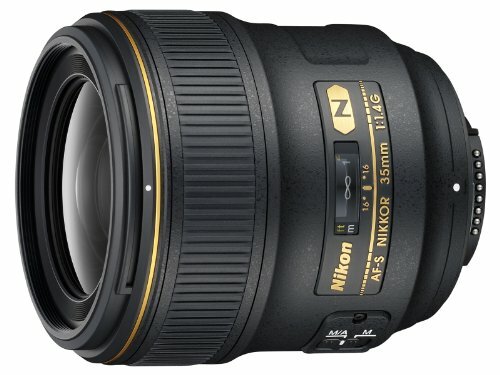 Although the price of Nikon lenses can vary massively between entry-level offerings and top of the range products, for casual users the increases in performance and sharpness provided by Nikon’s pro-level lenses may not be significant enough to justify the considerable extra outlay involved in their purchase. 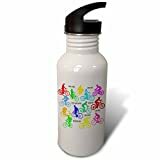 For this reason, our guide also includes entry-level lenses where the advantages offered by professional caliber products in the same category are likely too slight to be of real benefit or interest to the average user. 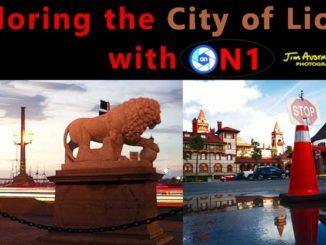 Bear in mind, though, that while selecting the best Nikon lens to use with your DSLR means considering technical specifications, it should also involve a careful examination of your personal needs as a photographer. For more suggestions about how to choose the right lens for your camera and shooting style, take a look at our in-depth guide, Camera Lenses.